The Royal Bahamas Defence Force is continuing its search for Mr. James Green, a boater who went missing after leaving Sandy Point, Abaco on April 16, 2019. 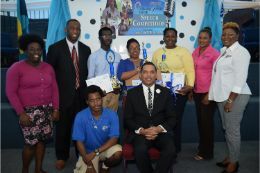 Minister of Social Services and Urban Development, the Hon. 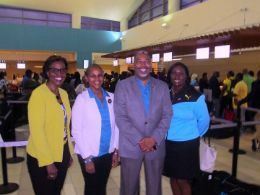 Frankie A. Campbell led The Bahamas’ contingent to the 48th Caribbean Free Trade Association’s (CARIFTA) Games, Thursday, full of optimism that the team will perform at its optimum level. Minister of Transport and Local Government, the Hon. 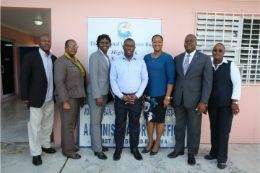 Renward Wells spent the entire day on Grand Bahama, traveling from east to west, listening to concerns and answering questions from members of various local government councils. 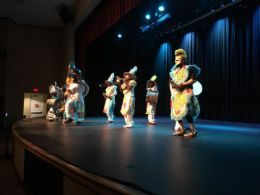 Sixteen-year-old Keno Armbrister has gone from finding himself on the edge of the academic cliff at the R.M. 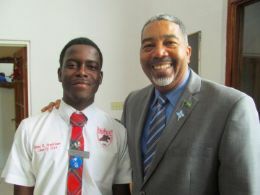 Bailey Senior High School, to quoting Confucius, and Roy T. Bennett and other literary giants, to delivering the Motivational Address at the recent Ministry of Social Services annual 'National Child Protection Month Church Service,' at Faith United Missionary Baptist Church. 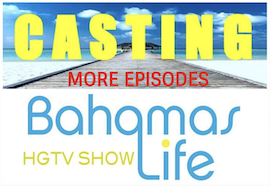 An ongoing search for a missing boater is being conducted by members of the Royal Bahamas Defence Force, Police, Bahamas Air Sea Search and Rescue Association (BASRA), a United States Coast Guard helicopter and local fishermen. Proudly representing The Bahamas all the way in Lima Peru the Fed Cup Team shows up strong on the first day of competition. Starting off in singles play was Danielle Thompson of The Bahamas against Melena Lopez. Danielle came out and set a strong pace allowing Lopez no games with a final score of 6-0, 6-0. Danielle came out fired up and maintained a high momentum throughout the match. Her Excellency the Most Hon. 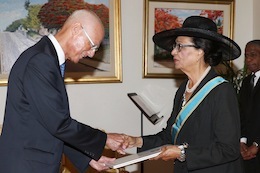 Dame Marguerite Pindling, Governor General, received Letters of Credence from His Excellency Francisco Javier Bernales, Ambassador-Designate of the Republic of Chile to the Commonwealth of The Bahamas during a brief ceremony at Government House on Wednesday, April 17, 2019. 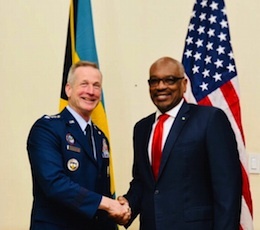 The handover of the country’s first state-of-the-art coastal radar system marks an essential step in the Government’s strategy to strengthen the borders of The Bahamas, Prime Minister the Most Hon. Dr. Hubert Minnis said on Wednesday. 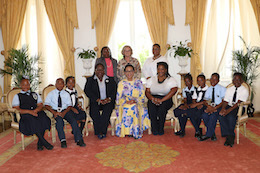 The Governor General, Her Excellency the Most Hon. Dame Marguerite Pindling visited Ms. Laura Williams at her home in Golden Gates, today. 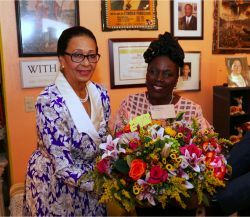 Dame Marguerite is pictured, left, presenting birthday flowers to Ms. Williams.